The preparation of the neighbourhood plan requires us to think ahead and ask, what will be the job prospects for local people over the next 15 years? 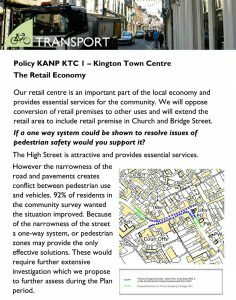 We need to maintain and hopefully strengthen Kington’s role both as a market town, support the range of companies providing work and services in the area and encourage the establishment of new ones. 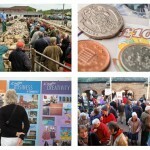 Strengthening our Local Economy: How can the Neighbourhood Development Plan help? Join our discussions, send us your ideas. It is often said that Kington ‘gets by’ whatever the state of the national economy. As a county, Herefordshire has persistently low wages – the lowest average earnings in the West Midlands and in fact the second lowest earnings in Great Britain in 2013. It is in the national top ten per cent of people working part time yet unemployment remains low (1.5 per cent in April 2014) compared with the West Midlands (3.4 per cent) and England (2.7 per cent). This is true also of the Kington area. 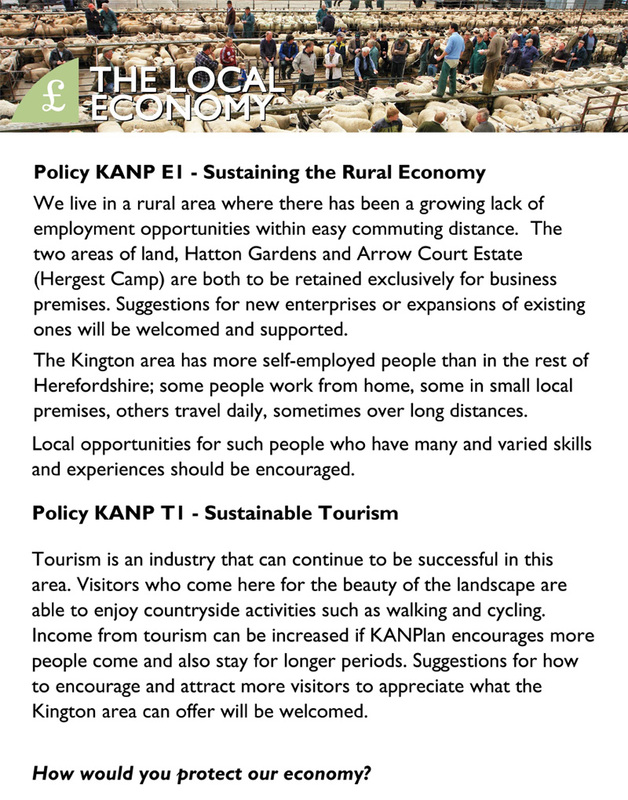 The one significant difference here is the number of self employed – 33% compared to the county average of 20% which perhaps illustrates how Kington ‘gets by’. So what should we aim for in the future? The primary objective should be to increase incomes. Higher incomes help to support local businesses by increasing local spend. Herefordshire Council has not allocated any additional employment land in its Local Plan to 2031. If we want new business to come to the area and enable existing businesses to expand we will need to find sites for them. Too often businesses start here and then move out to find the extra space they need. 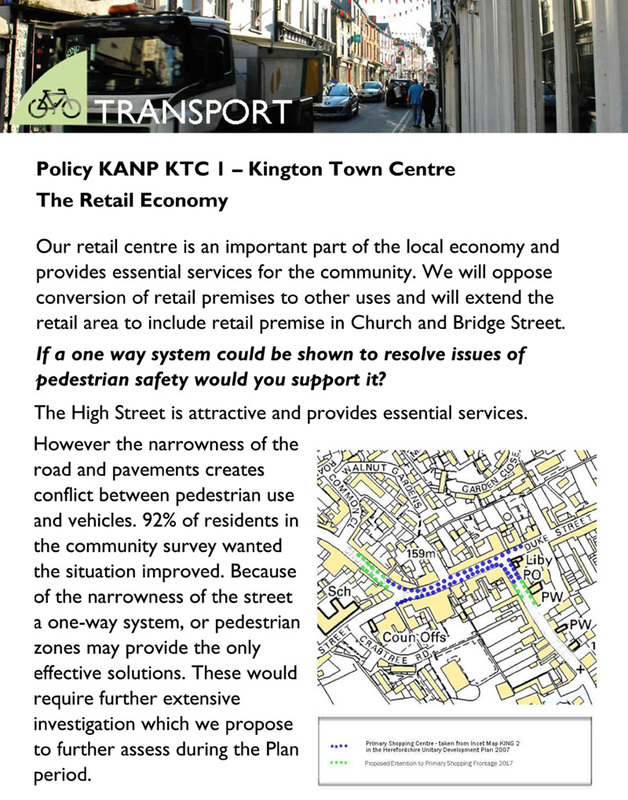 A possible option is Kington Camp but the road access to it will need to be improved. Could we do more at Hatton Gardens and Hergest Camp, and are there other potential sites? And what types of businesses will the Plan support? This is a key question. The largest employment sectors in the area are broadly split between agricultural based business, building trades and care services. Could we do more to support them? For example, by adding value to agricultural products through food processing and retailing, or by supporting local trades people to promote their business or encouraging more care provision to the area. What new business could we attract? Tourism is a growing part of the county’s economy. Kington has several local events such as the Walking Festival. 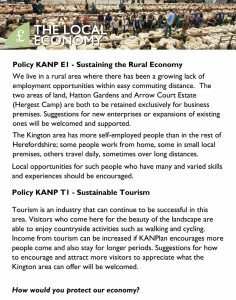 Do we need to do more to promote local attractions such as the Hergest Croft Gardens, the Small Breeds Farm and the local environment? How can we develop year round tourism to provide secure employment?